Artists began to develop their own styles and approaches. 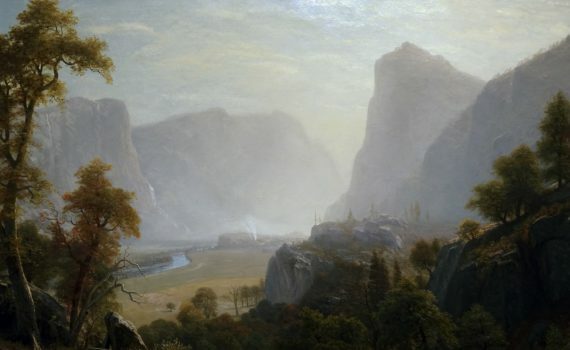 Like Romanticism in Europe, this movement in the United States took up themes of nature and spirituality—but it did so, increasingly, in a way that was uniquely American. Realism in the United States represented uniquely American views of everyday life. Artists like Frederic Remington captured the dramatic changes taking place in the West. The explosion of industrial wealth in the United States and Europe gave rise to a leisure class who commissioned luxurious art and design. From the Statue of Liberty to working-class slums, art in America was both aspirational and documentary. From Romanticism to the Gilded Age, American art ranged from bucolic landscapes to elegant city parks.